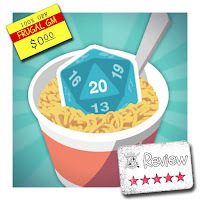 Today's Frugal GM Review is a bit of a twofer in that it is also a Free GM Resource. Just consider the freebie part a nice bonus because I'm not trying to milk this one thing for two regular posts. Earlier this week I came across a new YouTube channel quite by accident. A little bit of link-hopping and I managed to find the homepage for 2 Minute Table Top. That led me to the 2 Minute Table Top Patreon site and well.....I'm hooked. 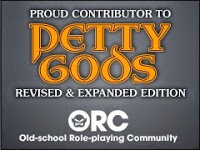 I'm definitely signed on as a Patron, and I'll probably add the website to the links page. 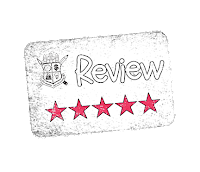 For the purposes of this review, I'm taking a rather broad view and reviewing the collection of 2 Minute Table Top Free Map Pack. There are some freebie maps at the main website and one thing I love is that the artist doesn't fiddle-fart around with getting you to the free content. The first thing on the drop-down menu for "Maps" are the 10 Free maps, already lumped together in a single free map pack for download. When I see a website laying out the free content so efficiently I'm already inclined to have a bit of optimism about the quality of the content. For me there is a subtle shift from having to sift through a website to locate what I need to wanting to sift through the website to see what else is out there. Obviously I prefer the carrot to the stick. There are a wide array of maps in the free map pack, but pretty much all of the maps are of a small area, usually what a GM would need for a single encounter. The downloads (when you order the Free Map Pack you are basically "buying" 10 smaller & separate downloads, not one big one) generally consist of the map as a JPG or PNG file, along with a layered PDF. Quite a few of the downloads have A2 and Letter size. For my American readers....A2 is fricken big, like a poster size (23" x 16"). No way I can print that at home! Each download has a link to the main website's Printing Guide, so if you are unzipping the files to one directory you only need the one URL shortcut. It is important to note that the "letter size" PDFs aren't actually letter-sized. Instead they are 22" x 16" and just optimized for printing out over four letter-sized pages. Now I love the maps themselves but for some reason I'm geeking out over the layered PDFs. I'm not really used to seeing decently layered PDFs for maps. Dungeon tiles and other papercraft RPG items (like buildings), yes.....but not "regular" maps. With the layers on these maps you generally get the color version, a black & white version, and a line-art version. For grids you get either hexagons or squares and even then you get a choice between black grids, white grids, or contrast grids. It is a simple touch and probably not a lot of work for the artist after the 1st time putting together the layered grids. I really only have one minor critique and honestly, this is something I don't even do with my PDF maps: filling out the PDF properties. Super minor thing and probably just me. The artist behind 2 Minute Table Top seems to make a bit of an effort to not use his actual name on things, but if you poke around in the PDF properties you can see what program was used and who owns that program.....but I'll just leave it at that. * I should note that the PDFs are not secured, which isn't too big of an issue (if they were), but if one of the maps isn't available as a PNG or JPG and you need one, you can easily open the PDF in programs like Photoshop. For people like me that is somewhat important, but for the casual user, probably not so much. Now I am having an issue printing out the maps onto only four pages, but I think that is a software issue on my end. Meh, minor thing.....so I have to use two more pages of paper. The map still comes out the same size, so I'm not using more ink or anything. Besides, if I just had to get it on four pages I can always open it up in Photoshop. Overall I love these free maps and I think they are a great example of 2 Minute Table Top's body of work. Between the Patreon page and the ability to buy these maps cheaply from the 2 Minute Table Top website, I'm certain to be adding quite a bit to my map collection. *Yeah.....I'm an idiot. Ross McConnell is the artist behind 2 Minute Table Top and he has a picture and his name pretty much on every page of his website. Maybe next time I won't write a blog post really late in the evening after I've taken my meds.